The second Global Game Jam (GGJ) kicked off at 5PM local time on Jan 29th, in 38 countries, straddling 23 time zones. 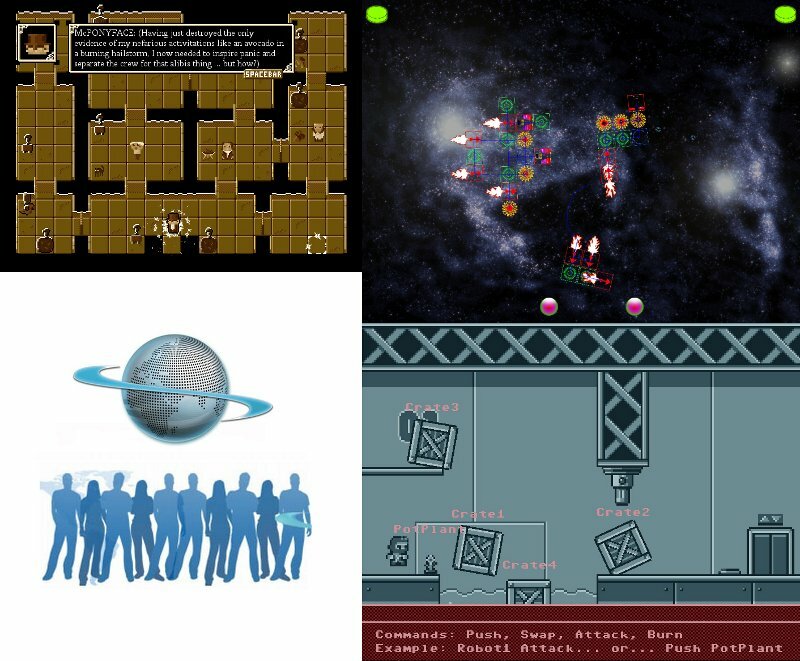 The GGJ is a 48 hour international game development event - teams have two days to develop and implement a fully functional computer game based on a set of constraints which are only revealed when the event begins. The Game Jam is not really a competition - although prizes were offered an incentive at the local event. Games are downloaded and assessed by the wider internet community, and settle to a final approval rating/score over time. 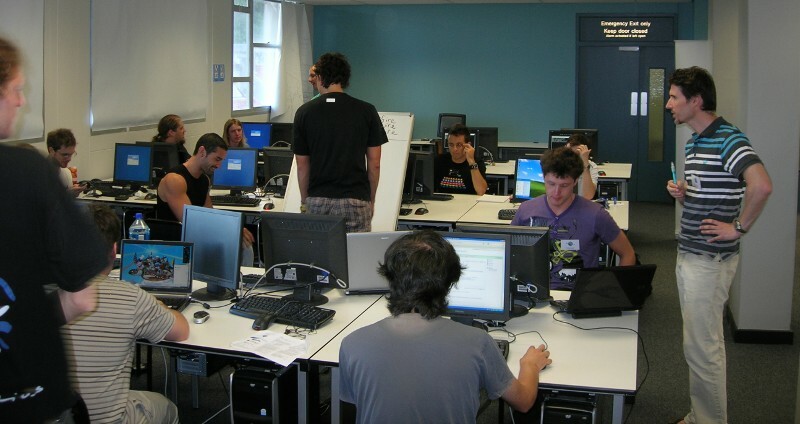 The South African leg of the event was organized by Patrick Marais of the UCT Computer Science Dept and took place in the Computer Science Senior Lab. The 2009 event attracted 9 participants and produced 3 games. This year there were 35 participants and 10 games were produced by the time proceedings closed at 3PM on Sunday 31st January. The participants included a significant contingent of established game developers as well as a number of students from the Computer Science Game Development course. A UCT CS team did well to secure 3rd place among these veterans, with a game called 'Module'. Module allows two competing players to design (modular) mechano-like structures (complete with rocket engines and lasers!) which are then released into the game world to vie for dominance. Physics and cunning design then combine to determine the victor.